Welcome to Day #3 of South American Chocolate Theme Weeks. 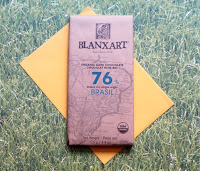 Today's Blanxart (BB Chocolate Grup, S.A) Organic Dark Chocolate Brazil bar was made in Spain. 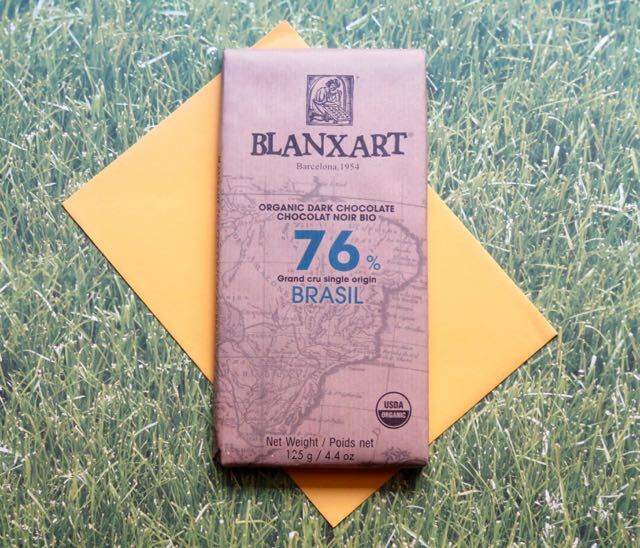 The cacao used to make this 76% cacao dark bar came from a plantation in the Amazon rainforest in the Brazilian state of Para. 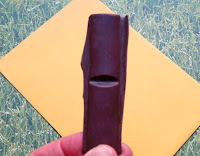 Most will find this bar quite agreeable, with even, smooth true chocolate flavor and a hint of vanilla. The chocolate was described as having "a flavor of roasted hazelnuts, with hints of licorice, vanilla and lemon." The vanilla and sugar mellowed the citrus note into a light lemon chiffon. The roasted hazelnut* flavor wasn't readily apparent; but, oddly, I did detect a very faint hint of roasted licorice. *Ingredients: This single origin, organic 76% dark chocolate bar was made with four ingredients: cocoa, sugar, cocoa butter and vanilla. There were no hazelnuts or nut ingredients listed.